As embattled senator Dino Melaye is set to defect from the ruling All Progressives Congress (APC), Kogi West Elders Forum (KWEF) of the Peoples Democratic Party (PDP) has rejected any attempt to impose Dino as the sole senatorial candidate on the people of the Kogi West in 2019. The group made this known through its chairman, Hon. Shaibu Momoh, at a meeting held in Lokoja, over the weekend. The group declared that its main objective was to work with other leaders in Kogi West, to present a credible candidate from Yagba axis, warning that imposition of candidate by any group or individual will be resisted vehemently. “That the news of an attempt to impose the controversial Senator Dino Melaiye on the people’s Democratic Party (PDP) Kogi West, by the National Leadership of the party, as Automatic Senatorial candidate for the 2019 National Assembly election is hereby Rejected in it totality and unacceptable”, he said. 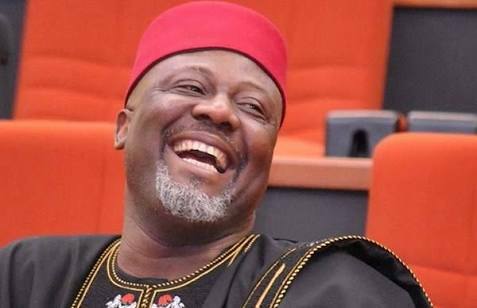 According to the group, Dino comes from a Ijumu local government area of kogi West that has been producing the senator for the Senatorial district for the past 12 years and adding another 4 years will make 16 years while the rest 6 local government areas will still be waiting for their turn. He stressed that of recent the need for a shift to other local government areas became inevitable, universal option and it has become a serious campaign issue. “PDP Leadership in kogi West endorsed by the state Leadership was the first Party to take a firm decision to shift/zone the position to other Federal constituency of the state for equity and justice, since over a year now. “Known aspirants have emerge from other areas excluding Ijumu in PDP and they have being on the field carrying out their consultations and preparing their structures in preparation for the party Senatorial primaries expending huge amount of resources and time for the past 12 months. “To now impose a strange candidate under a questionable reasons will not only be wrong, unjust and unfair but it will totally collapse all efforts by our highly respected leaders at rebuilding and rebranding the party in the state there by giving an opportunity and undue advantage to the opposition party APC that is in government to contend with”, he warned. The Chairman noted that Senator Melaiye, as he stands today, was not an asset to PDP but a very big liability because he has no noticeable structure and followers that can substantially erode the consequential damage, such imposition could course on PDP in the state.